Blink .. no reference Dr Who' weeping angels, but definitely some weeping as I suffer what may be the fastest defeat I've ever been handed in 40K. Adrian and I met for our 4th game of Warhammer 4th Edition in a row .. our way of learning the rules. 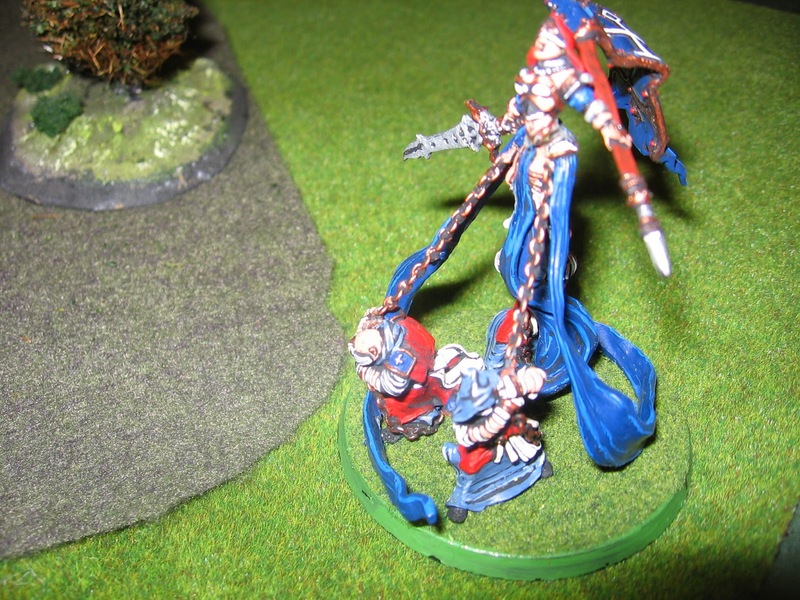 We each used a different army this time: for me Space Marines, and for Adrian Sisters of Battle. 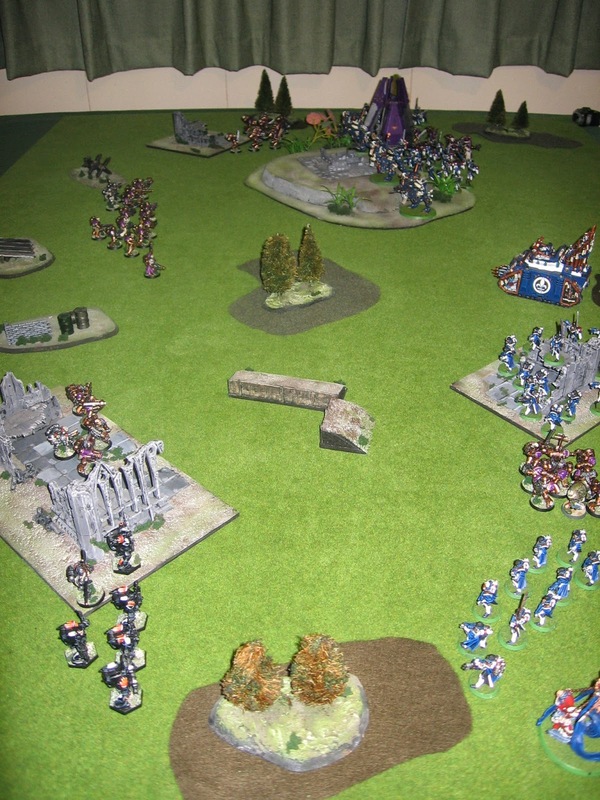 The game was a 1500 point match, playing the 'Recon' scenario from the 4th Edition rule book. So, being a little light in the flexible heavy support, we went at it. The drop pod is deployed first turn as it is required to do. Here's where it starts to go wrong .. In the first turn I managed to destroy the Sisters heavy support, and bring down some fearsome fire on this squad positioned in some ruins. The penitent engines charged the assault marines and .. again, pretty much a massacre .. The Vanguard veterans having emerged from their drop pod were assaulted by seraphim and... yep .. massacre . The smaller tactical squad advanced and assaulted a unit of sisters and.. not enough to win the assault. By the start of turn 3 there wasn't a lot left. The penitent engines shifted their focus to the left flank devastator squad. Aha, I thought .. eat my shorts, here come two plasma cannons and a lascannon. Net result? NOTHING.. not a single wound. OOooo this is going to hurt again ..
St Celestine in her glory. So we called it after turn 3.. I simply had no way of scoring enough victory points in terms of the scenario conditions to come even close. Now that was a real 'thumping. Looks like I have a little to learn about how to use Space Marines then, but the game looked great. Again a lot of fun pushing beautiful miniatures around on the table. Well, at least they looked pretty! I'm surprised your Marines took such a beating by SOB - they're usually a pretty evenly matched pair. Ah... it is what it is - you'll get him next time! Never underestimate the power of incompetence. First time I'd played SMs for years - I abandoned my plan turn 1, and never really thought things through.